There are issues that exercise us in this life for which we wish there were extensive Biblical revelation, but we must be careful not to invent it when it’s not there. The silences of the Bible are as awesome as the statements. In fact, if God didn’t include revelation about some topic, we might conclude that He didn’t want us to have ironclad certainty about it, and these silences may annoy those of us who covet certainty at all costs. This is true about issues like baptism and space travel and music standards. And it is really becomes thorny on matters of ethics — right and wrong. What about activities that we dislike but which the Bible does not mention, let alone prohibit, like smoking cigarettes or getting tattoos or listening to the Rolling Stones? We can always flee to the “good and necessary” clause of the Westminster Confession of Faith, yet we should recall that many conclusions are good, but not necessary, and others are necessary, but not good. What about ethics in matters beyond Scripture? We could always invoke natural revelation. This is what Hitler did in arguing for the superiority of the German race — nature itself teaches us that the Aryan race is God’s chosen. Natural revelation easily becomes a wax nose. The godly person can derive ethics from natural revelation, but most people are not godly; and in any case, that revelation doesn’t provide the specific answers we so desperately want. How do we know what is right and wrong with certainty? If we really affirm Biblical authority, and give it more than lip service, we might follow an operative dictum is that whatever the Bible does not forbid, God permits. This is a theoretical way of saying that only God can define sin (1 Jn. 3:4). When somebody charges that to advocate birth control or smoking tobacco or charging interest is ipso facto sin, he has replaced God’s law with man’s law. 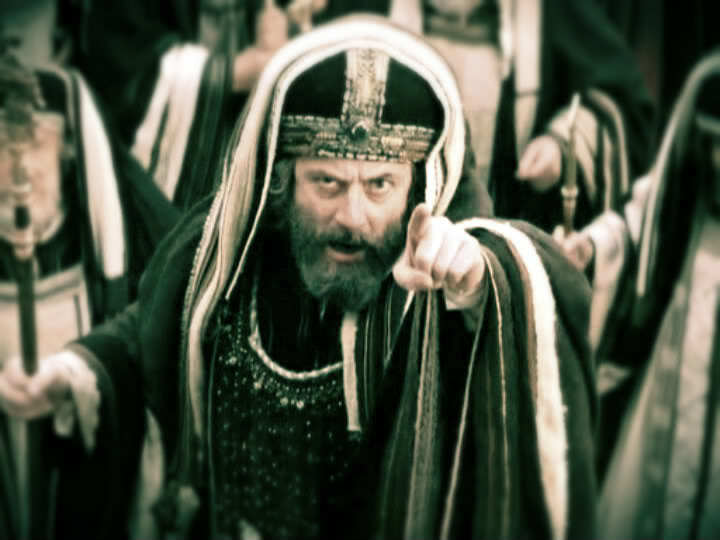 This is a mark of Pharisees (Mk. 7:1-16). Only God is entitled to define sin. It’s true that there may be many good reasons not to practice birth control, smoke cigars, charge interest, grow huckleberries, listen to the Beatles, drink single-malt scotch, dance at weddings, drive a convertible, send your daughter to Ivy League colleges, sport Afros, invest in mutual funds, play slots in Las Vegas, watch R-rated movies, learn to whittle, or wear linen sport coats-— but none of those reasons have any inherent bearing on sin. If you cannot practice these things in good conscience, then don’t practice them (Rom. 14:23). Just don’t criticize Christians who do practice them. The reason this issue is important, in fact, has nothing to do with cigar smoking and interest charging and U2 albums, and everything to do with the functional authority and integrity of the Bible. God has laid out what He requires. Beyond what He requires, He grants freedom: we term this “Christian Liberty.” We could use a revival of it today. Bible-toters and -quoters who forbid what the Bible does not address dilute the authority of the Bible, a serious matter indeed. The Bible (of course) does not address all issues, and we have civil and ecclesiastical and parental authorities that (when necessary, but only when necessary) fill in the legislative lacuna: citizens may not jay walk, members must attend church at 11:00 a.m. and not 3 in the afternoon, and people may not try alcohol publicly until they are 21. But these, let it always be understood, are men’s permissible laws, not God’s prescriptive laws. We have enough sin around today (homosexuality, slander, abortion, love-lessness, schism, drunkenness, covenant-breaking, unbelief, worry, statism) that we need not add to the list birth control, smoking, and full-bodied merlots. The bottom line is: Only God gets to define sin. We may not impinge on His sovereignty. Great article. I reposted it and then others have shared it as well. Such a good word for the church. I especially appreciate it as we are in a congregation of newer believers. It’s important that they are taught the word of God and what He defines as sin rather than teaching them some of our religious baggage from our various cultural/denominational backgrounds.